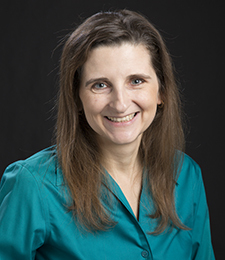 Nadine Kozak, Ph.D., is an information policy scholar, whose research explores how individuals, communities, and organizations understand, adopt, contest, and reject the information regulations, policies, and laws created by local, regional, and national governments. Kozak received her Ph.D. in Communication and Science Studies in 2010 from the Department of Communication at the University of California, San Diego. She was a Post-Doctoral Fellow at the Center for Information Policy Research (CIPR) at the University of Wisconsin—Milwaukee from 2011 until 2012. Kozak joined the School of Information Studies as an Assistant Professor in the 2012-2013 academic year. Recently, the Center for 21st Century Studies at UWM appointed her as a 2016-2017 Fellow. Kozak’s work focuses on people and groups often marginalized in policy making circles; the people whom are subject to, and impacted by, policies, regulations, and laws. Her research investigates groups including rural Canadian mothers whom were the targeted recipients of government scientific motherhood literature in the 1920s but lacked the technology to fulfill the precepts; the community owners of a prairie radio station between the 1920s and 1940s whom contested Canadian federal radio policy; the small town of Lusk, Wyoming, which sought to jump onto the federal government’s National Information Infrastructure plan by building a fiber-optic network in the 1990s; handicrafters in the United Kingdom who developed alternative strategies to deal with copyright infringement than those prescribed by national law; and U.S. municipalities attempting to build or expand community-owned broadband networks, despite laws and other obstacles erected by state lawmakers to thwart the developments. These studies together illustrate the power of individuals and communities to adopt, interpret, and challenge—among many other options—local, regional, and national policies. To conduct this work, Kozak employs a variety of qualitative methods, including historical research, document analysis, as well as traditional and digital ethnography. Her interdisciplinary work has been published in venues including Information & Culture, the International Encyclopedia of Digital Communication & Society, and the Journal of Community Informatics. Kozak, N. I. (Accepted). “Who’s afraid of the Big Bad Wolf”’: Canadian Radio Policy and the Moose Jaw Radio Association, 1922-1947.” Media History.